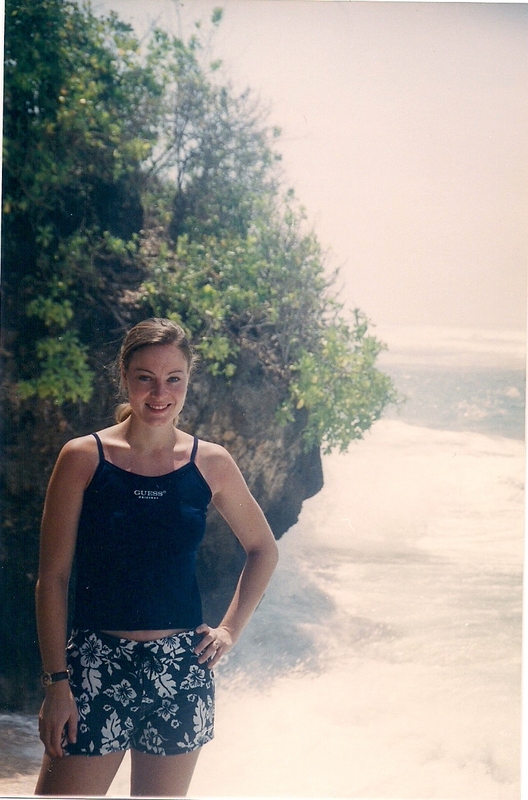 Wild waves, tall cliffs, exotic dances, and ancient temples. This is Bali. 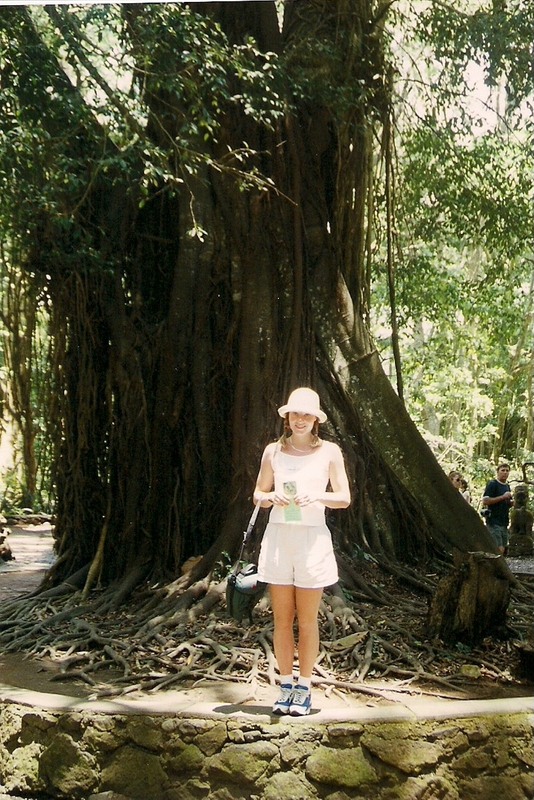 And while I lived in Indonesia, it was one of my favorite escape places. Picture: A very sun-burned me weaving a hat from reeds. What I loved most about Bali was how beautiful the culture was and the ease of getting from the airport to hotels and shopping. You can drive past hills stacked with rice patties and yet have the ease of modern conveniences as well. 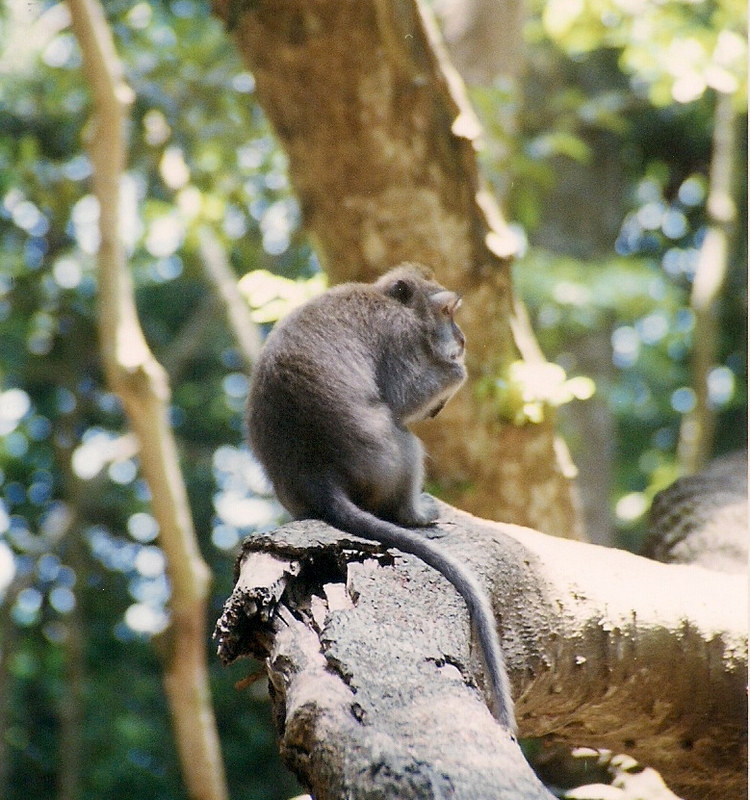 The Monkey Forest– This is quite touristy, but it’s a must-see with the huge sprawling trees and hundreds of monkey. Just keep an eye on your belongings. Those monkeys are mischievous little things. 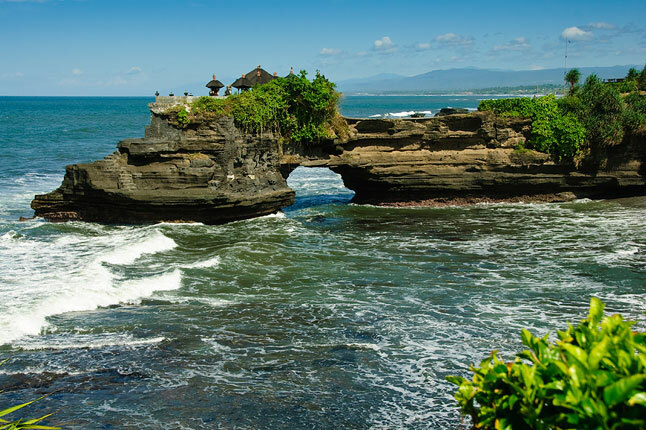 Balinese temples– Pura Besakih or the sea temple, Tanah Lot– gorgeous! Ubud– known for their art, especially paintings. You could visit the Neka Gallery or the Agung Rai Gallery. Diving– there is also excellent diving in Amed where it’s quieter than Kuta and quaint. Rent a small cabin by the beach and hire a cook! I would start your stay in Kuta because it is where the best shopping is. Then head over to Seminyak and stay at the Samaya Bali. Poppies Restaurant– loved the atmosphere! 1. Standing on the cliffs and watching the sun set over the Indian Ocean- so romantic! Comment below by Feb. 24th to win: 1,000 Places to See Before You Die! Tweet this contest for a 3 extra points! Just add @christinafarley so I can know. It sounds beautiful, Christy. Going on my personal list of places I’d like to visit one day. 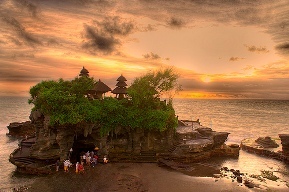 I would love to go to Bali someday. *sigh* My bff went there for her honeymoon. Yes, I was lucky that I actually lived in the country. Everything is so affordable there so it made it possible for us to do it. Now we couldn’t afford the flight to get there. But sometimes there are special deals and you can use frequent flyers miles. Nice to dream! Thanks so much to you, my family and I have now squeezed Bali into our annual summer trip! I am SO excited, and after looking at the pictures and reading the blog, I honestly can’t wait! Thanks SO much for the idea and inspiration, plus the cool chance to win that awesome book. 🙂 Love it! CookieMonster- yay! Thanks so awesome! I’m so glad you could use these ideas. Bali looks stunningly beautiful! Amazing to think that this was before your kiddos. 🙂 Have you been able to utilize your collection of Indonesian furniture and other goodies now that you have a place in the U.S.?